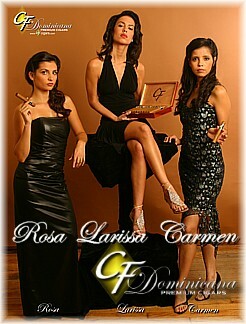 Cigar Waitresses, Cigar Servers also known as the "CF" Cigar Girls will hand out cigars in a way that's reminiscent of the lounges from the 1930's. 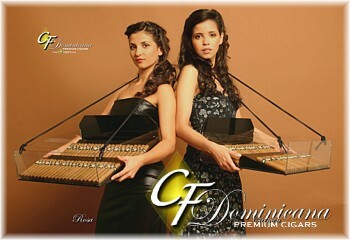 The ladies will "float" the room with our unique cigar trays and hand out cigars personally to your guests - complete with your own custom cigar bands - now that's cool. The visual of having a Cigar Server along with a Cigar Roller that's rolling the cigars at the event lets your guests know they are at a truly special occasion.